One extent each of Cambridge, Primrose, Norfolk, Norwich and Kent and two of Plain Bob. First submitted Thursday, 21 March 2019 at 17:32:14 by Roger Baldwin. 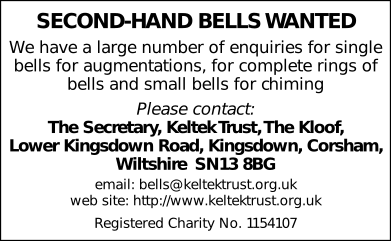 Sent for publication in The Ringing World on Monday, 1 April 2019 at 07:39:29, and printed in issue 5634, page 379.